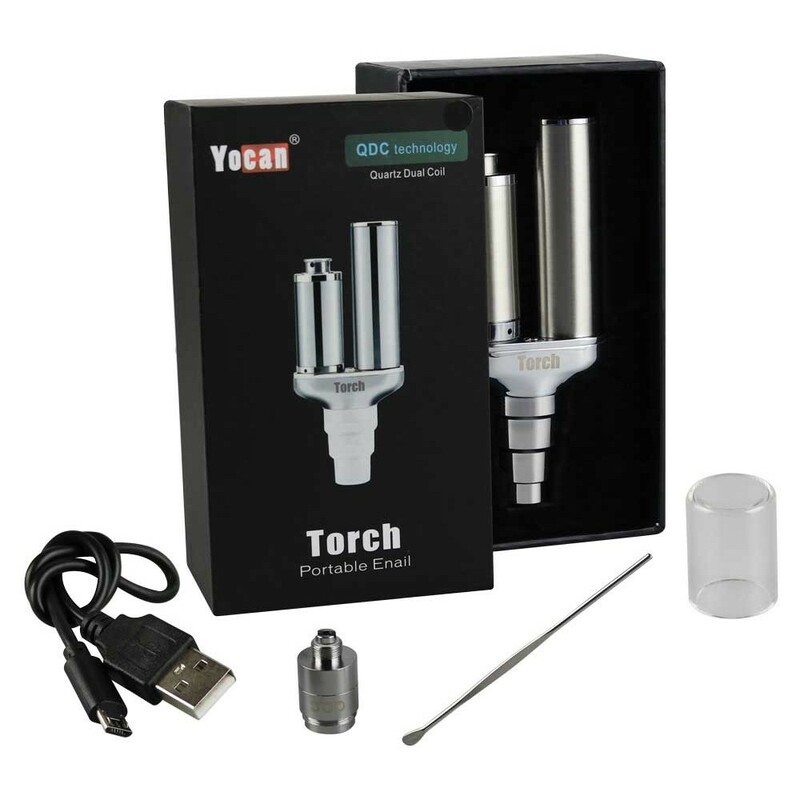 The Yocan Torch is a one of a kind 510 heating attachment for use with waxy essential oils that utilizes QDC heater heads to create a clean and delicious aroma. 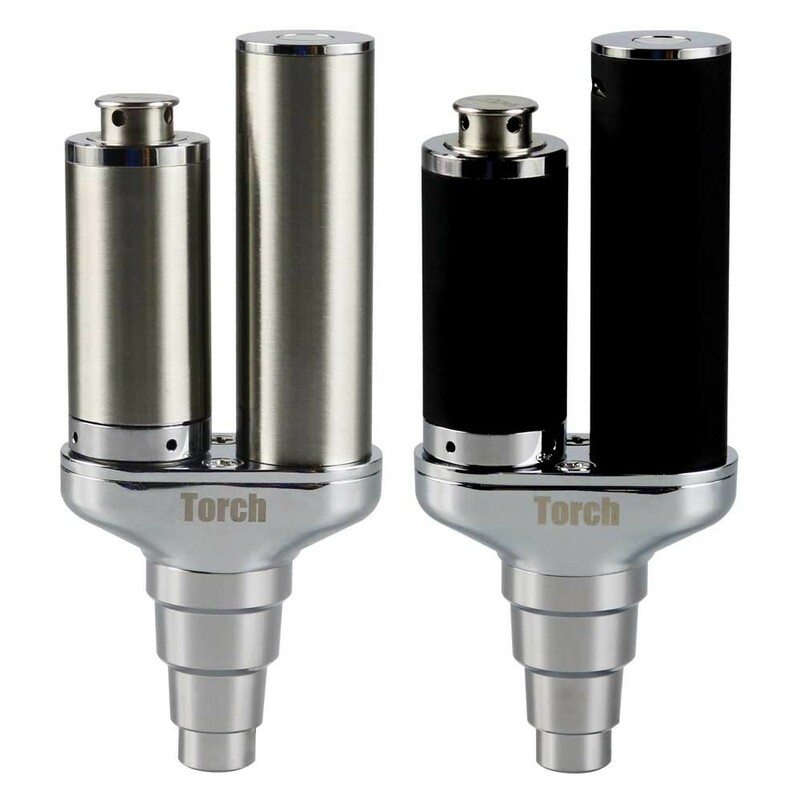 Yocan's Torch device features a removable heating element that can be replaced once it dies out rather than investing in an entirely new device, saving you quite a bit of money in the long run. 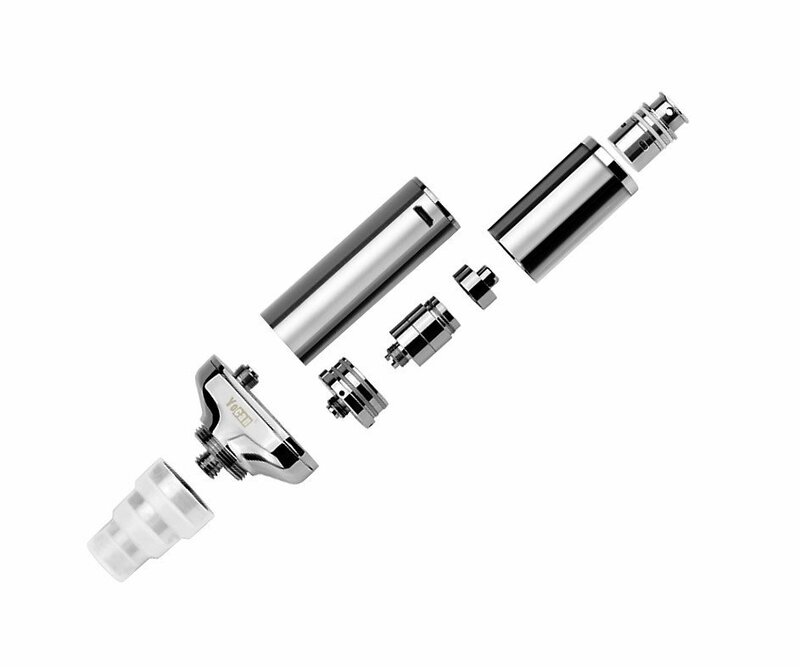 Each QDC heater head comes equipped with a glass quartz heating element for maximum efficiency/flavor quality and a dual style construction allows you to quickly heat through larger quantities of material with the utmost of ease. Yocan's versatile Torch device can be paired with most 14mm or 18mm water tools with either male of female joints, allowing you to use water filtration to completely eliminate the possibility of any contaminates effecting the quality of your aroma. 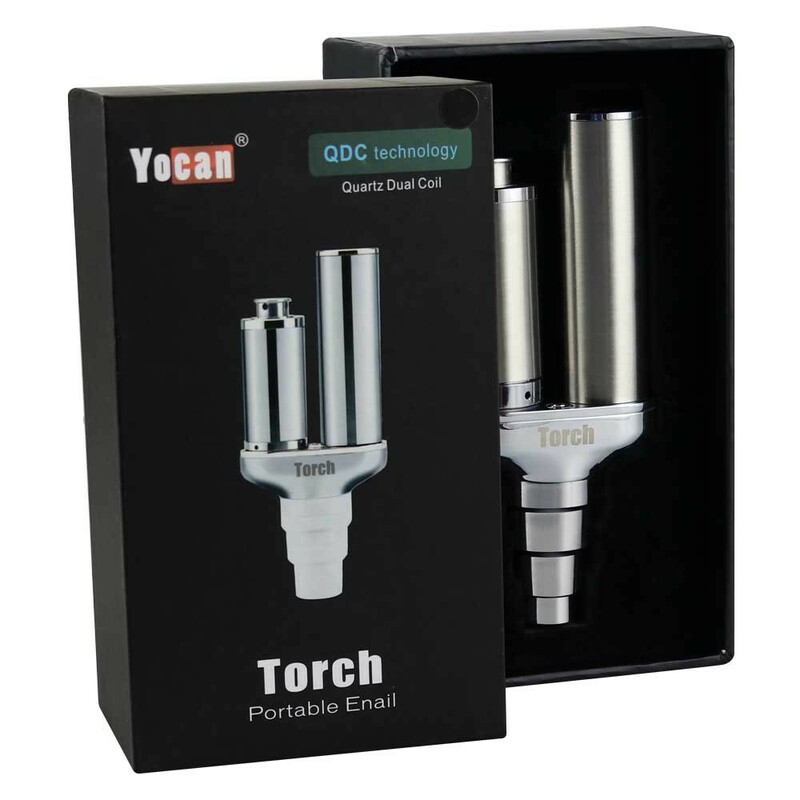 The Torch device from Yocan also comes equipped with a 510 threaded battery with a simple to use one button operation. Quickly press the power button 3 times to begin heating, after 15 seconds of continuous heat the Torch will automatically power off to prevent overheating and to help to maximize the elements life span. This device also features the innovative heater head cap that helps to prevent leakage/waste and it comes stocked with two interchangeable atomizer tubes that grant you full control over the quality of your aroma. An all glass tube will help to cool the aroma as much as possible before reaching your lungs while the stainless tube promotes enhanced airflow with a spring-loaded carb control button. For best results it is recommended you use the Torch device within the range of 250-280ï¾°C / 482-536ï¾°F. Disregard my previous review, the heater heads were shipped separately. Everything came quickly and safely, very satisfied with the product!